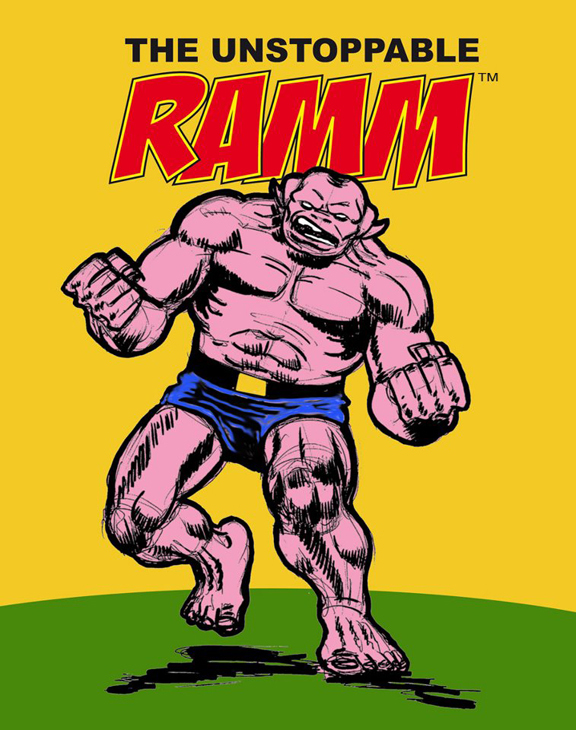 Ramm's planet came to a sudden and violent end as it unexplicably exploded one morning, hurling Ramm and the big chunk of rock he was standing on through space. The 12 inch tall alien eventually crash landed in Chicago's Grant Park. His first contact with the human race was a drunk named Manfred "Boozer" deCino. 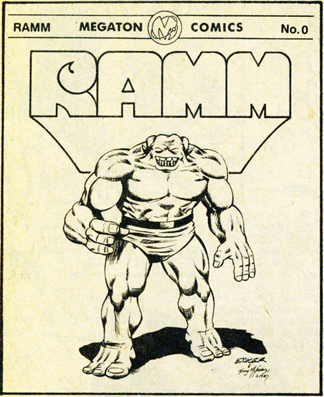 Deciding not to eat him, Ramm used a form of mental communication known on his world as Ch'orm Fladoo. Through the mind tap, Ramm acquired a rudimentary knowledge of the Earth and the English language and left "Boozer" similarly informed about Ramm and his world. When Ramm got his first taste of earth food at a fast food joint, his body reacted violently to the massive carbohydrate ingestion. Every cell in his body septupled in size, which brought him to the attention of monster-maker Rex Ruthless, who decided tht he'd found just the brute to lead his army of monsters!